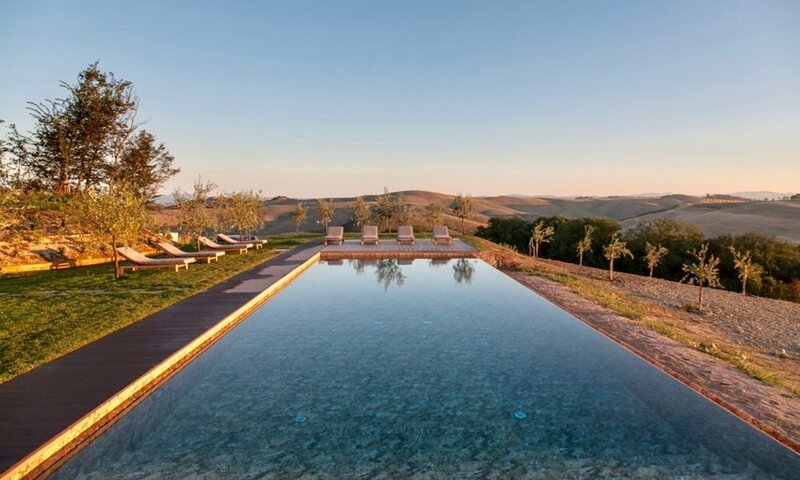 Crafted to weave luxury and comfort into a genuine Italian experience, nestled in the Tuscan countryside high up on a hilltop, this villa commands its hill with unrivalled sweeping vistas. 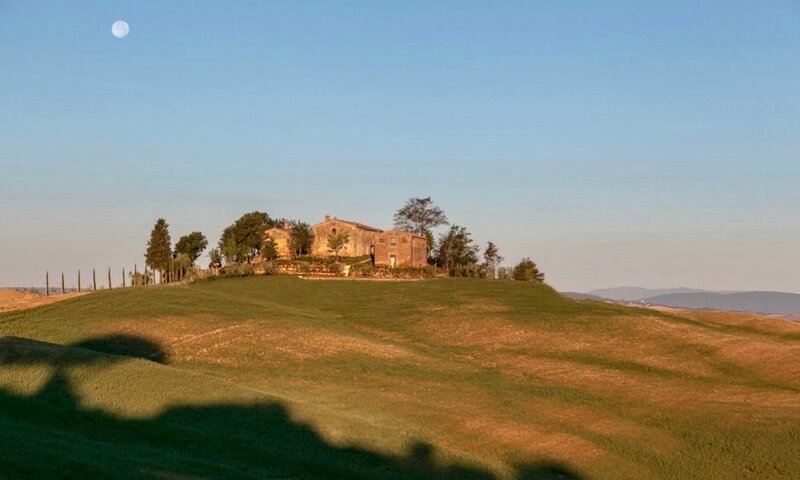 Surrounded by rolling medieval hills it offers classic Tuscan scenes: farmers busy harvesting, rows of cypress trees, and the towers of Siena peaking over the horizon, mere minutes from the historic streets of Siena. One can spend the day exploring the classical and gothic architecture, the afternoon shopping in local markets, or pedalling through the wide-open landscape of Crete Senesi, past ancient hilltop towns, brick farmhouses, iconic cypress trees, and lush vineyards and finally stopping to savour delicious Pecorino cheeses, homemade pastas, fruity olive oils, and celebrated Tuscan wines. The villa open floor plan seamlessly blends contemporary standards, including modern plumbing and state-of-the-art appliances, with authentic Tuscan living. Each of the three master bedrooms and three king bed guest suites include modern en-suites, which allows this property to comfortably accommodate large family or group retreats. 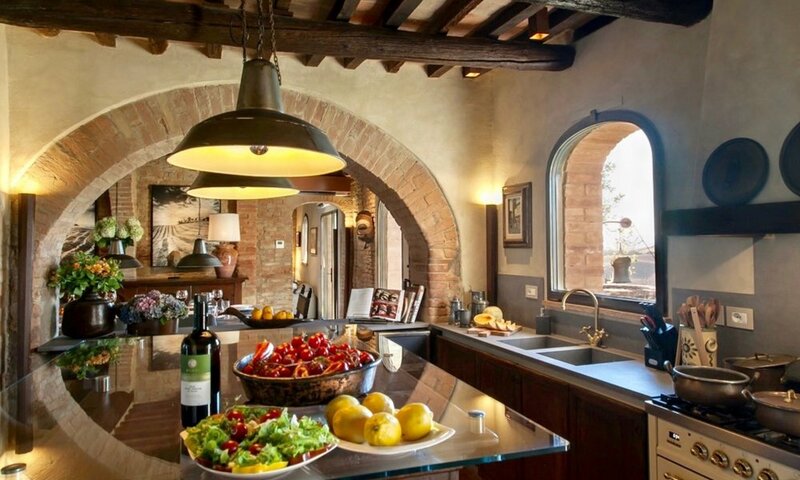 The generous kitchen, original forno oven, and traditional Tuscan fireplace make this farmhouse ideal for culinary adventures, while the outdoor swimming pool is the perfect location to relax and soak up the stunning landscapes. 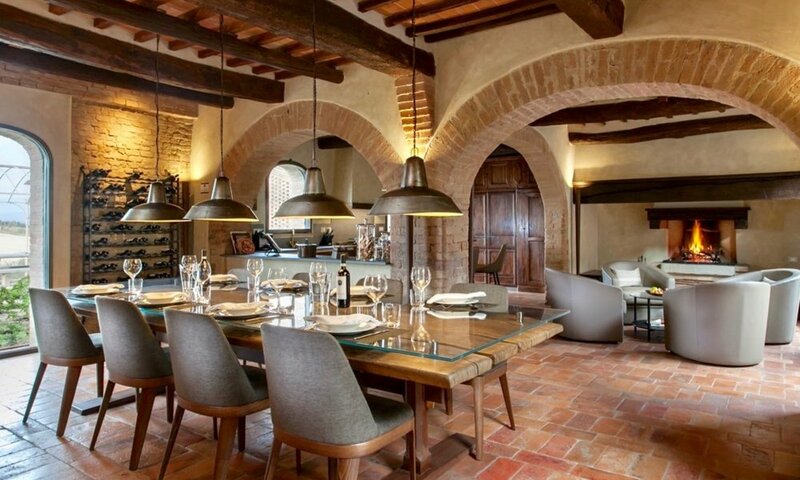 As guests gaze out the expansive windows across the horizon, drawn in by the changing seasonal colours of the crops and the details under the big skies – scattered olive groves, the lunar landscape, golden ochre, and the towers of Siena. 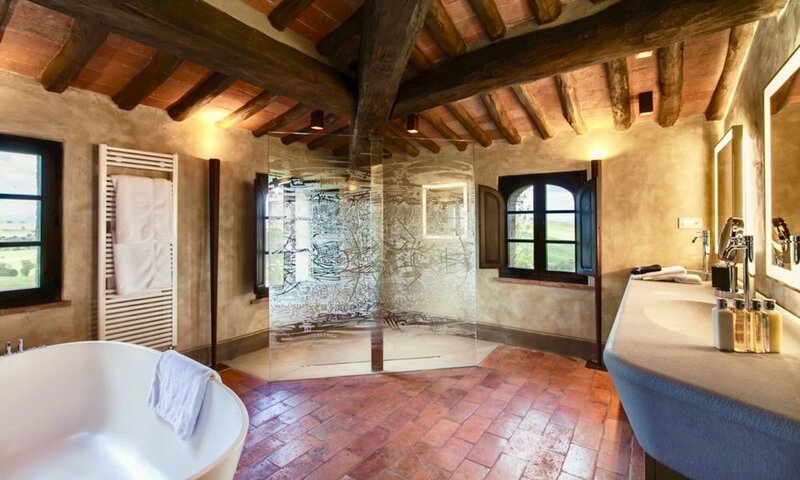 The villa blends luxurious comforts with the warmth of rustic Italian life. With over 7,000 ft2 (700 m2) of living space, this property has been designed with flexibility in mind. It can comfortably accommodate multiple families, corporate retreats, weddings, and any other large party desiring to live a fantastic experience. The villa provides both private and shared living spaces allowing guests opportunities to come together and share or retreat and relax. 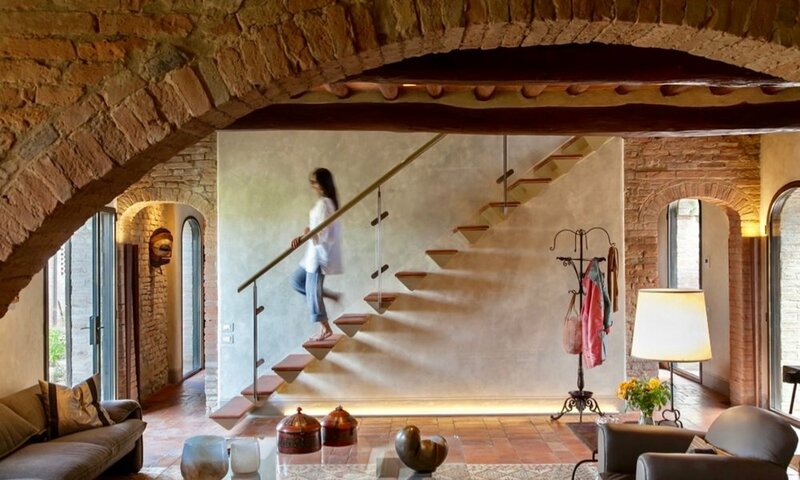 It features three distinct living areas, one on the main level, one on the upper level and one in the barn and together these comprise six bedrooms. Each area also includes individual living rooms to unwind in.